We were sorry to bid farewell to our good friends John and Stephanie Woodman and their granddaughter Zoe on the 17th of August. They were a big help to us and we enjoyed a lot of good times together. We know we will see them back here again. Zoe will have a lot to share when she gets back to school about where she spent her summer. We welcomed 2 doctors from Alice Springs, Australia on the 15th of August when Michelle Withers and Sonia Twigg joined us. They are on the start of a 10 week African adventure that will take them from Zimbabwe to Botswana to Nambia and South Africa. Michelle came as a med student (from London) here in 1998 and has been back several times but it has been 12 years since she was last here. She was born in Zimbabwe and lived here until she was 14 so she has a drawing to here. I have visited her 3 times when she lived in Sydney. Her parents are the directors of our UK Trust in London. 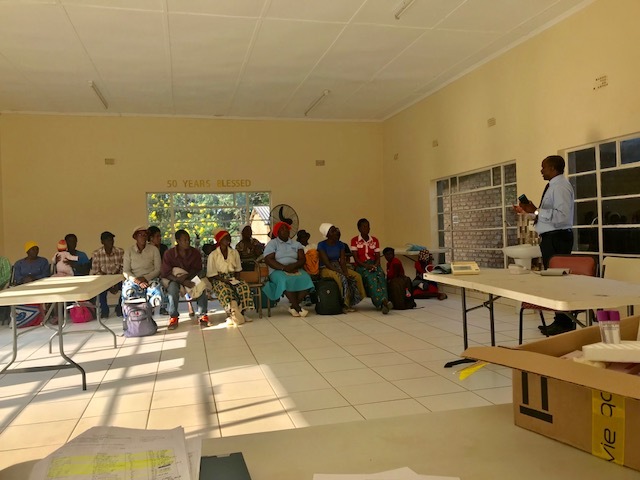 We were happy to welcome them and they made rounds with our doctors, did some Echos with our ultrasound and enjoyed participating in a rural hospital in Zimbabwe. They spent 3 nights at Rhino Camp and enjoyed the animals! On the 18th of August Major went to town and came home with a new to us, used LandRover. It was in very good condition and something we definitely need here on our terrible roads. As is our tradition we welcomed the vehicle at the hospital with songs of praise and a prayers for it to be used for God here and for safety to all who ride in it. All the staff and patients joined in. 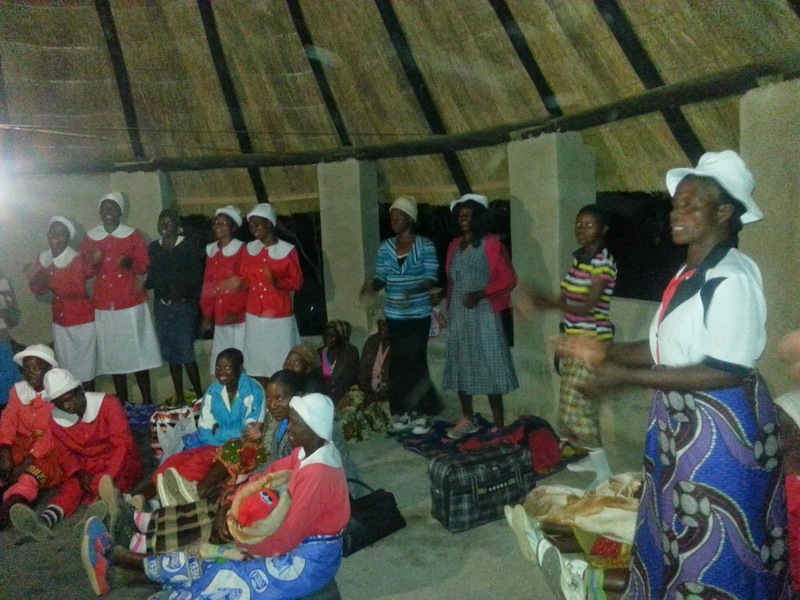 On Wednesday after work Major and I traveled to Batanai (our rural home) for an all night ladies meeting. 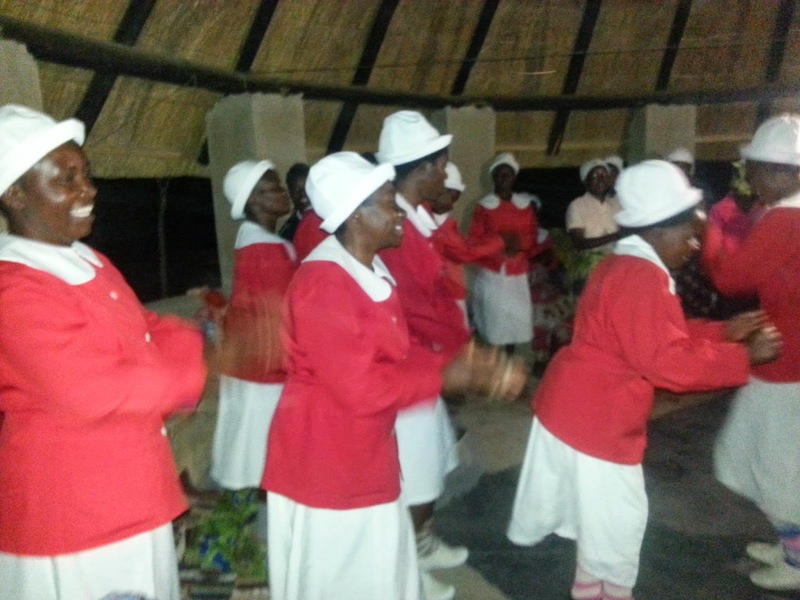 Their were 80+ women from 5 churches in that area that came. 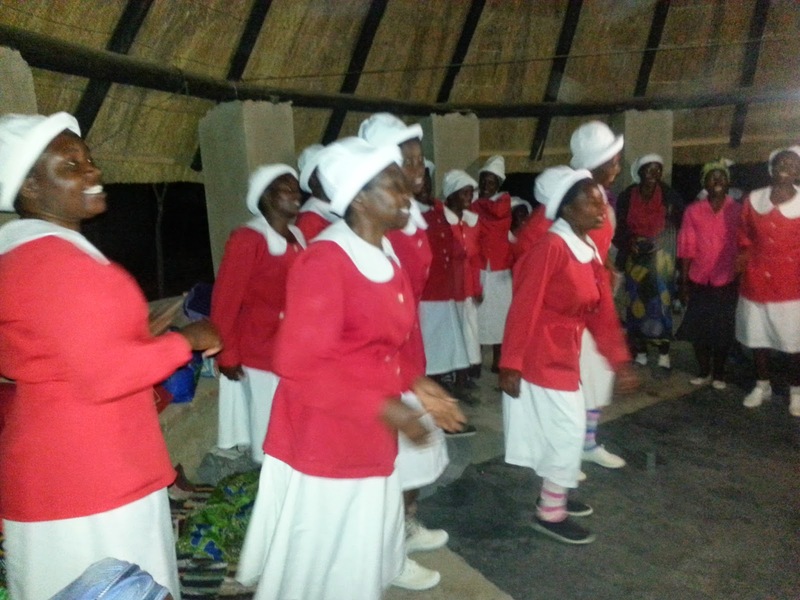 It started with dinner (sadza, veges and goat) and then lots of singing, dancing, praise and worship and then a message from Mrs. Mereki and testimonies all night until 430 a.m. when they had tea and departed for home. They used my new kitchen (tsaka) for the meeting and everyone fit! I left about 11 to come home and sleep for work the next day but 2 of the ladies stayed up all night and worked the next day too! It was really a fun time. They started the foundation for my house at Batanai this week and we hope by next week it may be ready for the roof. We want to be able to spend the night there with my next guests who are coming. We have had a Bible College student from Batanai working at the hospital during his school holiday. Regis is a cousin to Major and he has just finished his first year of 3 years at Bible College and he helped by doing devotions at the hospital, visiting patients in the wards and masasa (waiting mothers shelters) and helped in the kitchen when needed. 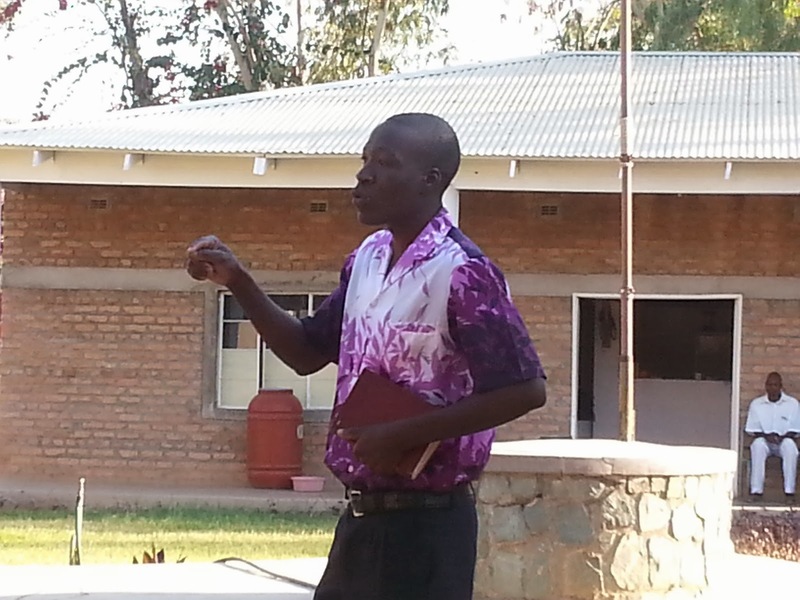 We wish him well as he returns for another year of studies in Harare. 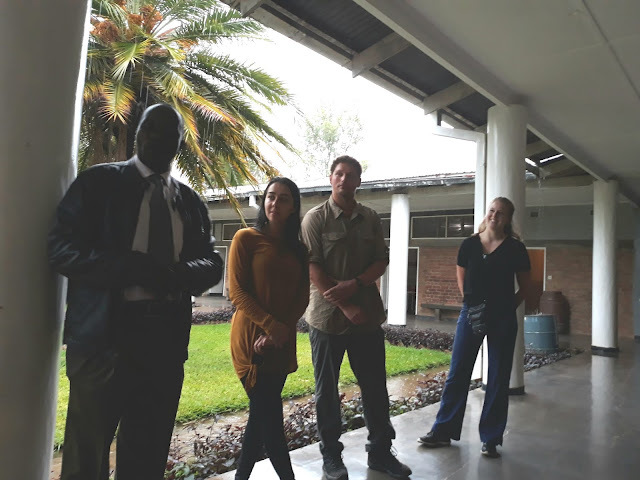 Our 2 Australian doctors leave us early Tuesday morning so we will drive into Harare on Monday afternoon and see them off and then welcome 3 more visitors the same evening! Life is never dull here! Come and find out for yourself!